The hex shape is one of the strongest that designers use in maximizing material strength. 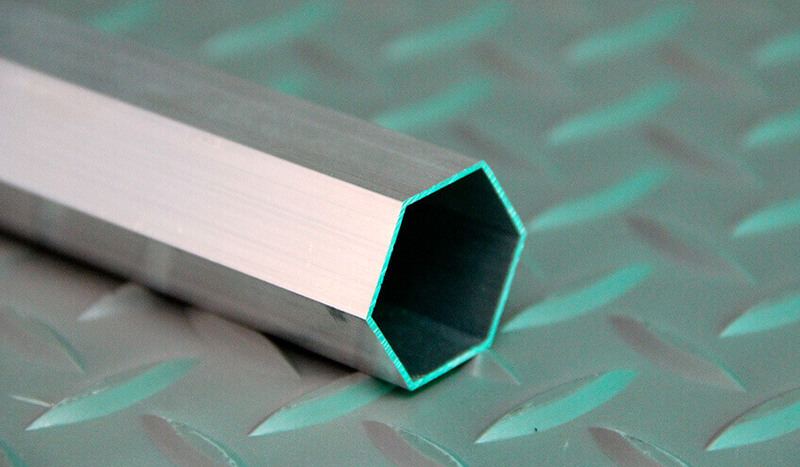 Common in aluminum extrusion, we have produced very light shapes as exampled, to more standard sizes and weights for telescoping pairs, and very large and heavy wall thicknesses for required applications. Thermoprene stocks a few specialty extrusions but not many standard stock shapes (tube, bar stock, etc). We will be happy to advise availability on any shape you may need.